At Mowi, we work with the ocean to produce nutritious, delicious and supreme-quality seafood. We fulfill one fifth of global demand for farm-raised Atlantic salmon and are constantly driven by innovation and the desire to achieve the highest standards of sustainability. Mowi ASA is one of the largest seafood companies in the world, and the world’s largest producer of Atlantic salmon. Since the Mowi adventure started in 1964 the company has grown and changed in many ways. From its humble beginnings, when a few pioneers started farming fish in their back yards, through to the present day, Mowi has become a global leader in its field. 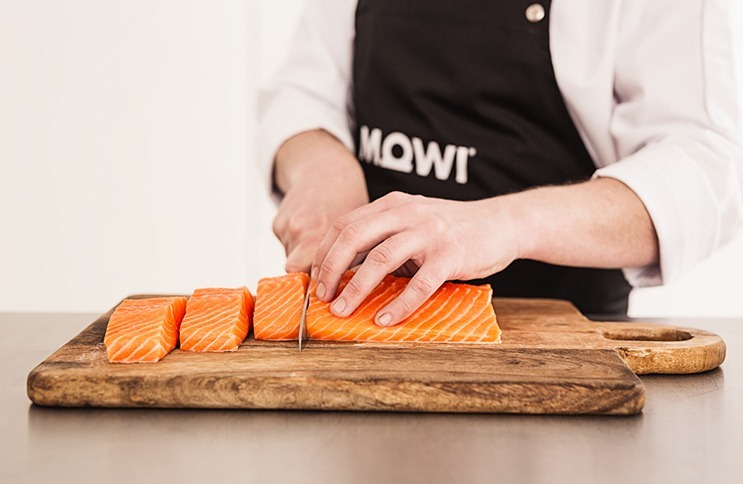 As the company has grown, both organically and as a result of mergers and acquisitions, Mowi has maintained its leading position at the forefront of the aquaculture industry. First stocking of salmon smolt in seawater. Hydro buys 50 % of Mowi. Mowi becomes a recognized brand. Several M&As and Norsk Hydro takes 100 % ownership of Mowi. The Marine Harvest group is established from three independent companies (Pan Fish, Marine Harvest, Fjord Seafood). Mowi establishes its own feed division, strengthening a fully integrated value chain. Morpol becomes part of Marine Harvest Group. Marine Harvest aquires Gray Aqua Group and Northern Harvest, and establish Mowi Canada East. Marine Harvest once again becomes Mowi.